Margaret Trujillo (Stines) passed away on Tuesday, March 26, 2019 at Pathways Hospice Care Center at McKee Medical Center with her family by her side. Although unexpected, it was a peaceful transition for her. 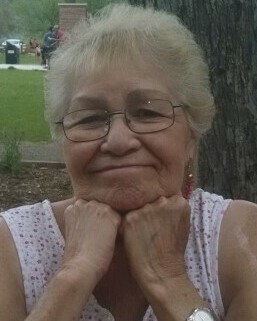 Margaret was born on November 29, 1947 in Watrous, NM to Telesfor and Utemia Stines. She moved to Colorado at the age of 16, where she later gave birth and raised her two devoted sons. Margaret was an employee of Cobe Laboratories and lived in Denver, CO. She later retired in Loveland, CO to be near her boys and grandchildren. Margaret was an active member of her community, volunteered at numerous facilities, attended her church regularly where she was a very involved member. She attended and led many bible studies and thoroughly enjoyed spending time in the mountains and with her friends and rarely missed a family gathering. Margaret lived life peacefully, with a kind and positive attitude, extending love and faith to each and every person she met. We will miss her ability to put us at ease with her gentle spirit, strong love, sense of family and her beautiful smile. Margaret is survived by her two “boys” Michael Trujillo (Michelle) and Vincent David Trujillo (Shelley); grandchildren Derek, Nathon, Devon, Paige and Destani Trujillo; her sisters Angie Segura and Corrine Aquirre; brother Manuel Stines (Pat); as well as many nieces, nephews, friends and family in faith. She is preceded in death by her parents, brothers Jerry, Bobby, Daniel, Chris and Alex, numerous brothers-in-law and sisters-in-law and her mother-in-law, Matilda Trujillo, who meant so much to her. A service to Celebrate Margaret’s Life will be held at the Good Shepherd Church, 3429 N. Monroe Ave in Loveland, CO on Saturday, April 6, 2019 at 11:00am with Pastor Kent Hummel officiating. All are welcome to attend. A reception will be held at the church following the services. Flowers may be sent to the church. Condolences may be sent in care of Viegut Funeral Home at 1616 N. Lincoln Ave., Loveland, CO 80538.